Rumor, a German shepherd, was named best in show at the 141st Westminster Kennel Club Dog Show on Tuesday, besting more than 2,800 other dogs that competed in New York this week. 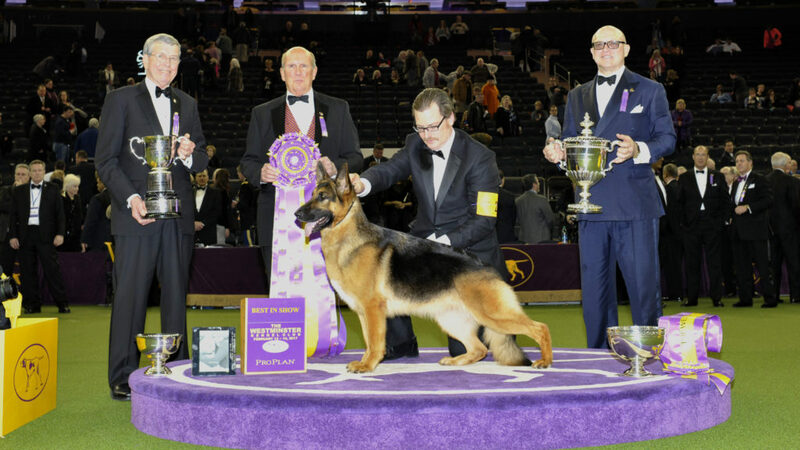 It marks the second time a German shepherd has won the top prize at the show. The breed last won in 1987, which also represents the only other time a dog from the herding group has won at Westminster. “She’s got a lot of beautiful details,” Rumor owner, breeder and handler Kent Boyles, from Edgerton, Wisconsin, said about the features that make Rumor a winner. Boyles, who said he became “German shepherd crazy” as a child, has been breeding the dog for 35 years. Boyles said he and his family will drive back to Wisconsin with Rumor, where she will be retired from shows. “This was definitely the ultimate type of win for her,” Boyles said. 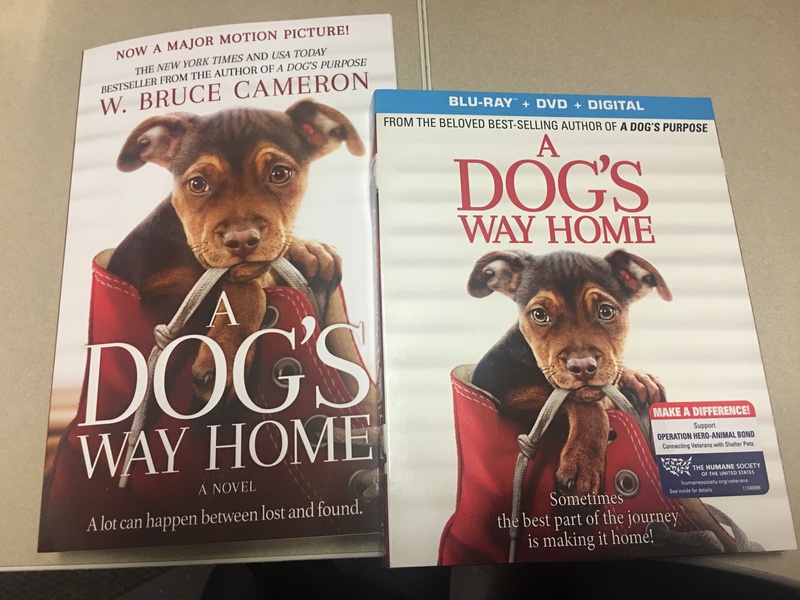 Rumor, whose favorite snack is prime rib, will likely begin bearing puppies, Boyles said. Rumor won the herding category in 2016 as well, but lost the top prize to a German shorthaired pointer. “She is just magnificent,” Judge Thomas H. Bradley III said, in an interview with broadcasters about his pick. 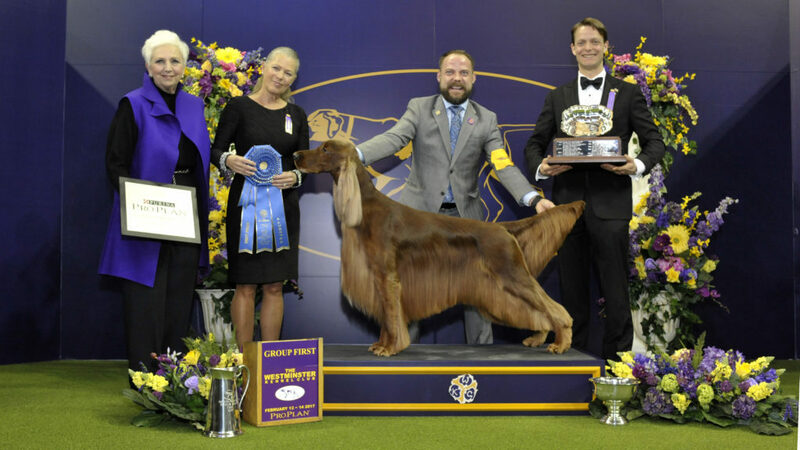 Adrian, an Irish setter from the sporting group, was named runner-up. A total of 200 breeds vied for the blue ribbon at Westminster, which began in 1877, making it the country’s second longest-running sporting event behind the Kentucky Derby horse race, launched in 1875. Devlin, a boxer, won the working group on Tuesday, while Tanner, a Norwich terrier, was the winner in the terrier group. On Monday, the opening night of the two-day competition, in addition to the German shepherd Rumor, a Norwegian elkhound, a Pekingese, and a miniature poodle won their groups. Devlin, the boxer, has lived with and been trained by Diego Garcia in Lillington, North Carolina for the past two years, and will return to her owner in Canada after the show to retire. “I started to cry this morning,” Garcia said about returning Devlin. Three new breeds debuted in this year’s competition: the sloughi, a North African sighthound; the American hairless terrier, first bred in the 1970s to hunt rats and other vermin; and the pumi, an ancient Hungarian herding breed. This year’s contestants came from 49 states and 16 foreign countries. Dogs are judged on characteristics specific to their breeds.